If you open Merriam-Webster online dictionary, you will see several definitions of the word “commit”. In the context of this post and your goals as a freelancer, it is “to pledge or assign to some particular course or use”. 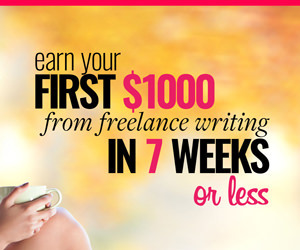 Being a freelancer, you are probably quite familiar with the idea of committing. It has a lot to do with determination – one of the qualities you need to succeed as a freelancer, remember? 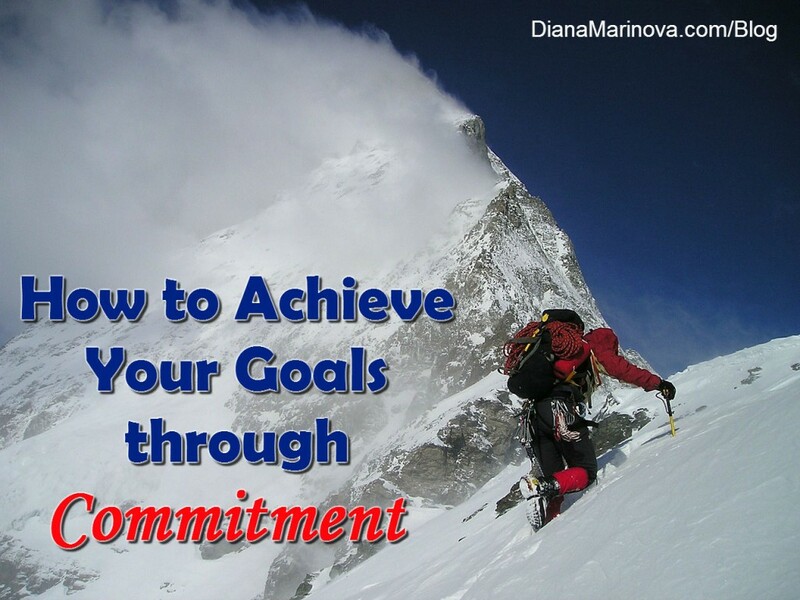 Both goals require your commitment but the first is relatively easy to do. You have to focus on that one client and do the impossible to get their attention and help them bring their business to the next level. You will reap the benefits of your commitment relatively soon – get paid more money the moment that new client awards their project to you, feel instant gratification when that new client says YES to your proposal, obtain a new testimonial and recommendation to add to your website or LinkedIn profile upon successful completion of the project, put-here-whatever-you-feel-once-you-acquire-that-new-client. On the other hand, achieving the said SMART goal can be overwhelming. If nothing else, you have to work toward that goal for months. There is no guarantee you will achieve it. You don’t know yet what exactly you’ll have to do to reach it. You will probably have to sacrifice some things, like less time watching your favorite TV show, or fewer girls or boys nights out with friends. And when the reward is so far out of sight (a few months can feel like a very long time) – you are more often tempted to take shortcuts or to postpone your action. It just happens so that I found a great solution to keep you motivated and committed to achieving your SMART goals – it’s called Commit: How to Blast Through Problems & Reach Your Goals Through Massive Action. I started reading Linda’s book in February. Then life got in the way and I only remembered about it today. So I finished it and I gotta tell you, it’s worth it every minute. It gives you structure and a super methodical guide how to attack a problem to solve it for good or how to approach a goal to achieve it in the said time frame. It walks you beautifully though all stages – preparing to commit, making (hard) choices, tactics to use to achieve your goal or solve your problem, and let’s not forget – how to keep yourself motivated during the process. I had to reverse my perspective. Twice. You know how I always recommend breaking up big tasks into smaller chunks so that they are more manageable; or making small steps every day and consistently so that you don’t overwhelm yourself. Naturally, I have always thought the same approach works fine for achieving your goals, too. It turns out Linda’s approach works better. It seemed kinda reversed at first. Her definition of committing is “overwhelming your problem or blasting toward your goal, using every ounce of energy, resources and knowledge you have”. Slow and steady doesn’t win the race – you have to be all in. And when I read through the book, silently being skeptical about the whole massive action approach, it all started to make sense. Making small steps every day will help you not be overwhelmed, right? So it is only logical to throw everything at your problem or goal so that it is overwhelmed, not you. And if you are thinking right now, “Yes, right, I will overwhelm the problem, alright, but wouldn’t that overwhelm me as well?” Not at all – to the contrary. The commit approach Linda suggests will give explosive fast results, boost your motivation, automate your goals and make you feel good about yourself. Biggest takeaway for me – commit first, work out the details later. This was anti-intuitive for me and it marks the second time I had to reverse my perspective. I am a planning freak. So much that I often fall victim of my perfectionism. I sometimes get lost in planning and never take action. So naturally, I was ecstatic to see that Linda talks about that in the book, too. That’s right – motivation comes with action, not the other way around. If you wait to be inspired to take action (as I often do), you may very well spend all your time planning and never start implementing your plan. By making the first step and throwing all your resources at the problem or goal, you will start a chain of events which will inevitably bring you inspiration and motivation you so much need to succeed. But you must commit first, figure out the details later. Linda gives a superb methodical guide how to commit to achieving your goals. She has included many tactics, which may or may not apply to you, depending on your personality and specific situation. But don’t worry – she does you one better. Linda doesn’t tell you what to do; she helps you build your own commit plan to succeed. In the end of each chapter, she has included some things for you to do – let’s call it ”a commit journal”. She walks you through each stage of the committing process and if you follow her advice diligently and write down things in your commit journal, your plan to achieving your goal will shape up nicely even before you have read the whole book. Seriously – this book is the only thing you need to learn how to commit and achieve your goals. Linda includes personal stories and examples how she used this tactic many times to succeed with both personal and professional problems and goals. I also tested it with a personal goal. In February, I had gone through the first few chapters of the book and diligently populated my commit journal. Although I had not finished the book yet, I could already see the commit approach is working – I am 5 kg. down in a month and a half. It’s good I finished the book now because it’s time to find a way to stay motivated and lose those 15 kilograms left to achieving my goal. I sure will be testing the commit approach following Linda’s guide for professional goals – promoting my first book, building an email course, reviving an old site of mine and making our latest startup successful. 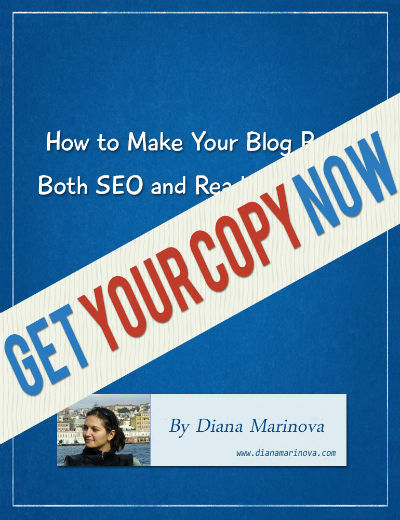 I bet you will be hearing more from me about this book and putting its tips into action. Are you ready to commit? Buy Linda’s book on Amazon. Great post, and good luck with all your goals with year. Thanks for the positive feedback, Brent – I am glad the post resonated with you. I really appreciate this post and your perspective on the book. It’s definitely one I want to check out. While I love the quote that Brent shared from your article… I think many times businesses rush in to marketing too quickly without laying the foundation for their business and end up confusing an audience that they don’t know they are trying to reach. I love the formula that Tony Jeary shares in his book “Strategic Acceleration.” It is Clarity + Focus = Execution. Execution with purpose and intention can be a very unfulfilling proposition. You do at least have to have the basic foundation (clarity)… and commit to creating strategies and SMART goals (Focus) that then will be executed. Committing to the process of the formula in my opinion is a winning opportunity! I too found your post via ‘Leading Bloggers’ on LinkedIn. I’ve added her book to my wishlist. I’ve been all about slow and steady, and have decidedly not been winning the race. Life events however have lit a fire under my feet to commit to achieving my goals through massive action. Like you point out, it seems counter-intuitive, bu the more I think about doing so, the more it makes sense. When you (and I, and anyone) really think about it – it totally makes sense, Jeri. When life events lit a fire, as you put it, focusing on your goals sometimes makes for an easy transition. Achieving your goals is an added benefit. Diana — I experienced a light-bulb moment a few years ago when I listened to a career coach discuss goal setting and she said, “Stop planning and start acting.” I realized that planning can be an excuse for not acting. An old boss of mine used to say, “Let’s try for the 70% solution.” What he meant is that we’ll never find the 100% solution so let’s start doing something which is better than doing nothing. Thanks for the enlightening review of Linda’s book. The line between effective planning and using it as an excuse not to act is very thin indeed. Thanks for a great comment, Jeannette! IU just added her book to my list. It does sound like a new approach and as you say, a little counter-intuitive. But if it works, who cares? I am a planner like you and sometimes I can get caught in that ball of planning to plan:) This was a great post!